Following their loss last week to at home to fellow strugglers Notts County, Saturday’s game, another home match to yet another team struggling in Division Two in Cheltenham Town, saw Orient come off second best again as Cheltenham returned home for a morale boosting 1-0 win. The O’s to put it mildly are now in a horrendous position, as they look destined for the very real danger of relegation out of their league for the first time in their history. If last weeks defeat was bad enough for Orient then this result was paralysing. They simply had to get something out of this game and they simply weren’t up to scratch failing miserably as their strike force failed to register a goal despite looking back on form with 5 goals in their last two matches. A false dawn? It appears that way. 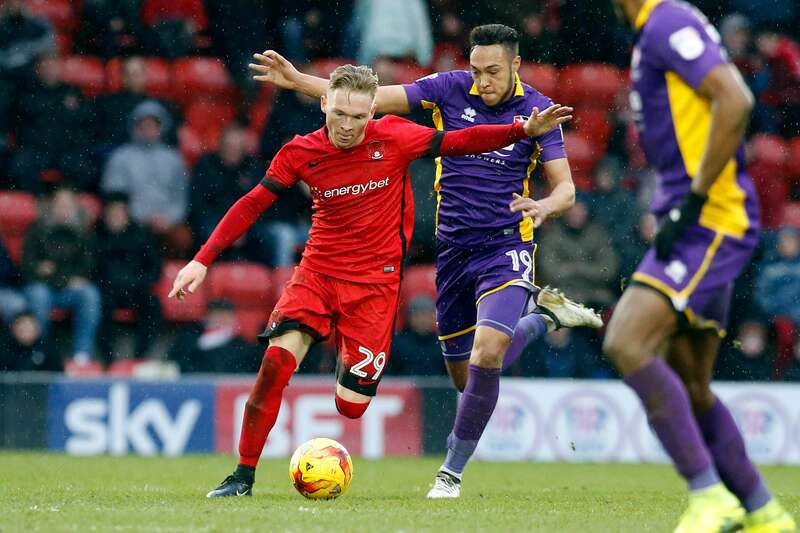 As Cheltenham Town took a valuable three points in their quest to move away from the League Two relegation zone with victory at fellow strugglers Leyton Orient they have left the O’s with a mountain to climb. Carl Winchester’s goal earned them the points against second-from-bottom Orient at the Matchroom Stadium. Winchester scored the only goal of the game on 21 minutes but it was visiting keeper Scott Brown who earned the plaudits with a string of outstanding saves denying Leyton Orient time after time. The Robins created the early chances but Tin Plavotic and then Kyle Wootton fired wide when well in decent goal scoring positions. Orient stormed back and was only denied the lead because of the heroics of visiting shot stopper Brown who was in scintillating form. He twice blocked point blank shots from Gavin Massey who should have done better and then produced another double save, firstly denying Paul McCallum and then Nigel Atangana. Winchester broke the deadlock for Cheltenham after 21 minutes of the match when he collected a lovely paced pass from Billy Waters before unleashing a powerful drive into the net from outside the penalty area. The teams went into the break knowing both their seasons could be finalised in the ensuing 45 minutes and it was the London boys who started the second half in the ascendancy. Orient squandered a wonderful opportunity to restore parity on 56 minutes when Massey was fouled in the penalty area but man of the match Brown flung himself to his left to palm Callum Kennedy’s spot kick around the post. It was a miss that was to prove costly for the Waltham Forest mob as they had little left in the tank and their opponents defended in numbers when required to do so. From thereon, Cheltenham had little difficulty in protecting their lead to leave Orient with their 14th home league defeat of the season. An appalling record only beaten by Meat Loaf’s current album ‘Braver Than We Are’ which is an absolute shocker. Cheltenham move up to 19th while Orient remain stranded in 23rd place 3 points from safety and the team above them Hartlepool United who lost 2-1 at Colchester United. If it was any consolation to the O’s bottom club Newport County also lost 2-1 this time at Mansfield. However two teams above Orient, namely Notts County and Accrington Stanley both achieved draws and moves both of them slightly further away from the battle at the bottom. For Orient prayer mats may now be required.